Home Our Garage Door Services Garage Door Maintenance Why Should You Perform Routine Garage Door Maintenance? Why Should You Perform Routine Garage Door Maintenance? Garage doors generally move up and down thousands of times a year, so it’s natural for hardware to loosen. There’s a lot of movement and vibration daily, so you’re probably wondering what’s your best bet to tighten things up? Well, take a socket wrench and tighten all roller brackets and bolts. This is a simple maintenance tip which can be performed as necessary. Observe your garage door every time you use it. If there are jerky noises, which often resemble scraping and grinding, that’s a common sign something is wrong. It should operate in near silence, so if you notice a noise and decide not to react, you risk the problem worsening considerably. This will be expensive down the line, so as soon as you notice noises, you should check to see whether both sides of the system are symmetrical. If not, you should call a professional, who can leverage years of experience to resolve the issue. 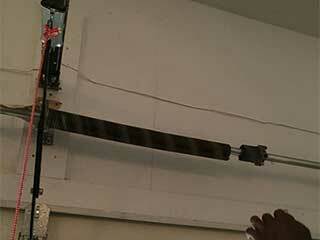 Your garage door should be perfectly balanced to operate smoothly. If it isn’t, it will have to work harder, and subsequently won’t last as long. To check your balance, disconnect the opener and release the door manually to around halfway up. If it doesn’t stay where it is, the counterweight system is probably imbalanced. Spring adjustment is best left to professionals, so you can call for expert help having detected the issue. Rollers should be inspected twice yearly, and replaced roughly every seven years. If your rollers appear cracked or chipped, they should be replaced as soon as possible. Reinstall roller brackets which aren’t directly attached to your system, and if you feel out of your depth, don’t hesitate to call an expert. We’ve built our business around the same values for more than a decade – honesty, integrity, and contribution to the community. We will spare no effort in going above and beyond for our customers, providing them with only the top-quality garage door services by following the most recent professional practices and safety standards. Our technician will contact you before arriving. Until then, feel free to browse our website! Garage Door Repair Lewisville is at your service!